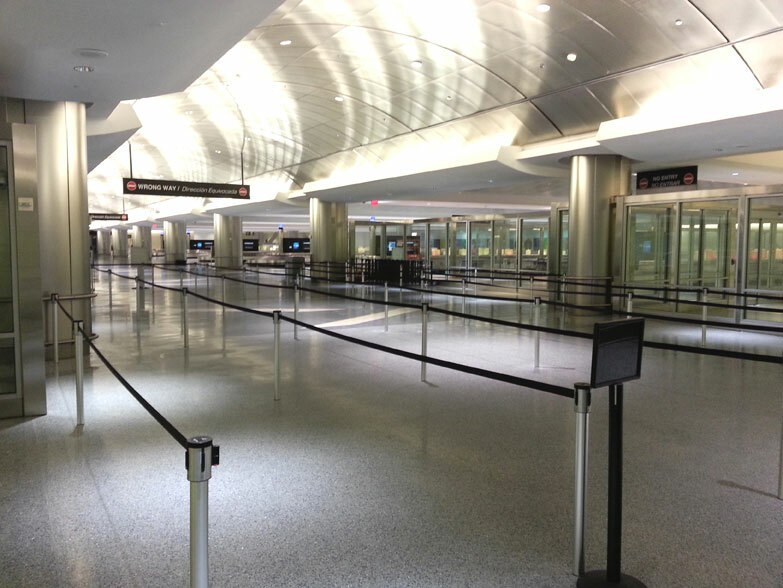 Houston Airport selected our new Mini Socket Mounted Retracta-Belt stanchions for the Customs and Border Entrance or the airport. They provide a unique clean flow and keep obstructions out or the way so the suitcases and bags of your travelers can be moved easily through the queue. These mini-socket stanchions install easily to keep queue lines in place, and remove easily for floor maintenance and layout changes. The installation could not be simpler. "The installation of the mini socket system produced a very clean appearance for our client with an easy and straightforward installation," says Garrett Jurica, the Project Manager at KBR who installed the posts. "The provided instructions made the procedures for installation clear to all personnel used on the project and assisted greatly in getting all the needed equipment to site. 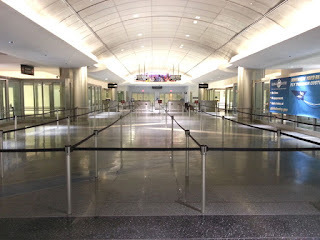 Our project required the system to be installed into a terrazzo floor finish, this was accomplished by utilizing the epoxy anchor system with the supplied lock-in mechanical feature for each anchor. We also supplied our clients with the optional anchor cap for future use if the areas queuing requirements change, with the cap installed the anchor virtually disappears into the finishes of the surrounding areas." Contact us at CrowdControlExperts.com, 631-367-2005 for more on this unique stanchion system.